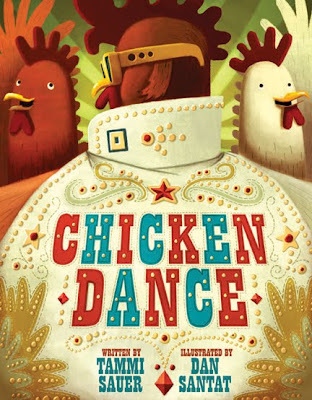 If Chicken Dance inspires you to "reach for the stars," you should definitely enter the Chicken Dance Video Contest. All you have to do is create your own music video inspired by the book and you could win some original artwork by Dan Santat or gift certificates to Barnes and Noble. Oh, and fame and adoration, of course! If your kids are a little too young and grabby for Chicken Dance, you might want to check out two new books in Sterling's Touch the Art series of interactive board books that introduce art history to young'uns. 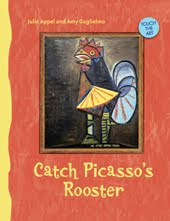 Catch Picasso's Rooster features artwork showing animals with the added bonus of tactile manipulatives: the reader can feel feathers on Picasso's rooster or the whiskers of Rousseau's tabby cat. 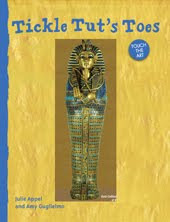 Tickle Tut's Toes showcases the wonders of ancient Egypt with touchable textures representing sand and smooth stone and mummy wrappings. Sterling Children's Books definitely have a sense of whimsy to match their employees'… and did I mention their selection of Richard Scarry titles? Bestill my heart.